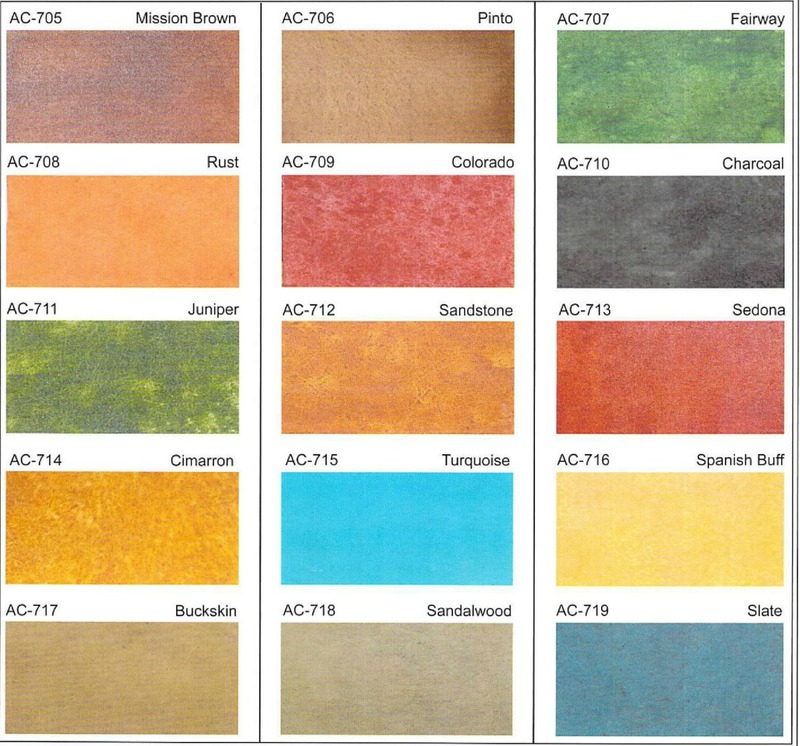 Here is a sampling of our favorite acid stain concrete colors. The swatches here are close to the color the concrete will appear, but will never be exactly like the sample because acid stain combines differently with different types of concrete. This is what makes acid stain so fun. It creates the "high" and "low" color variations that natural stone holds. 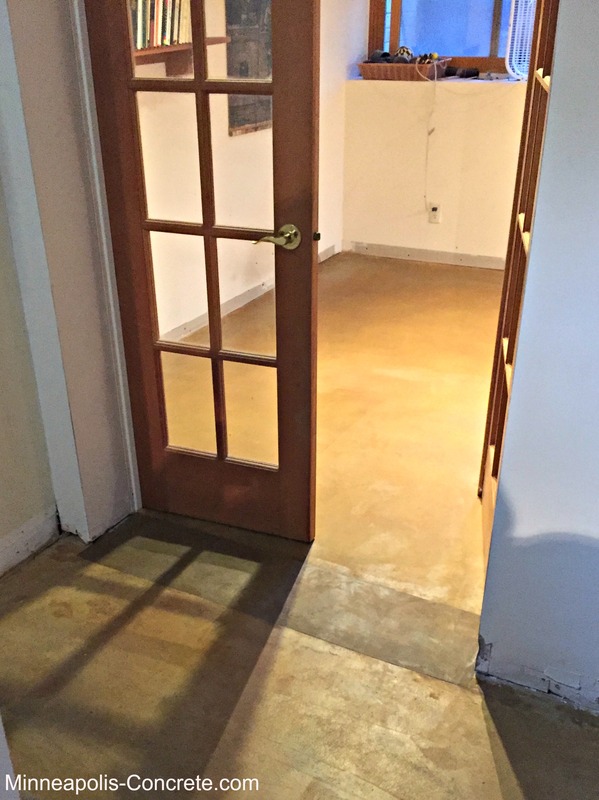 Pictured Below: Concrete basement floor CC Concrete stained in Cimarron.